Ingredients: Chinese green tea, Hunan Province. Features&recomendation with food: Taste: vegetative with juicy fruit note. Goes well with fish or seafood dishes. Best be served at the end of fatty and difficult to digestible foods. 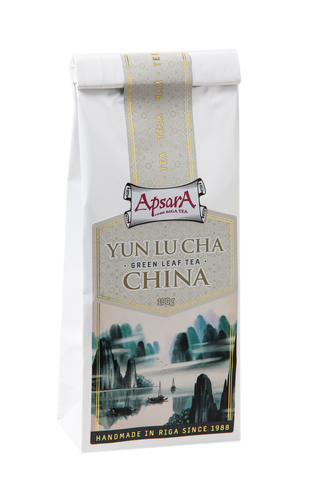 Product highligths: Yun Lu Cha – can be translated as "green cloud tea" comes from an ancient tea cultivating area in Hunan province. Fertile land and abundance of moisture, allows to collect surprisingly good harvest! Tea can be described as a classic example of green tea.